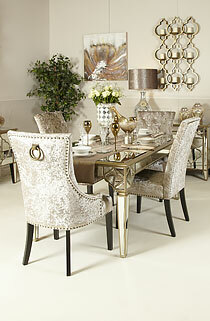 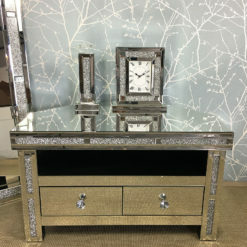 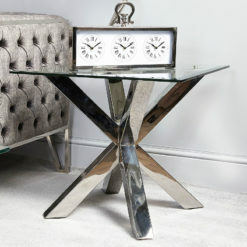 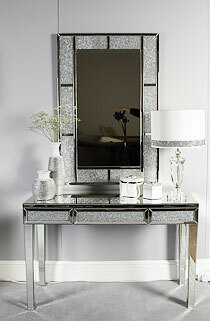 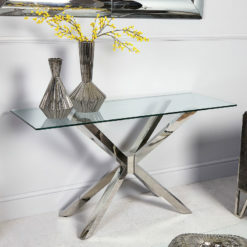 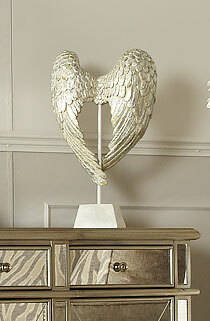 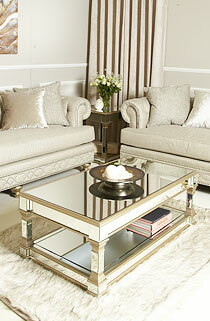 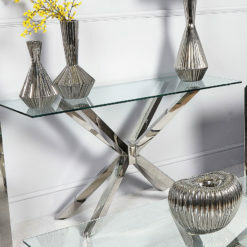 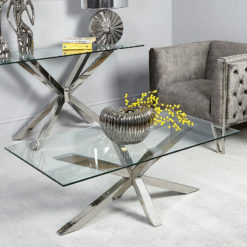 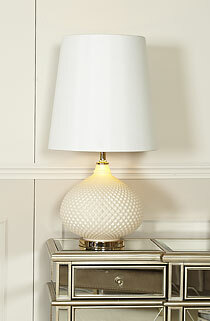 An eye-catching end table with a crisscross chrome base and sophisticated tempered glass table top. 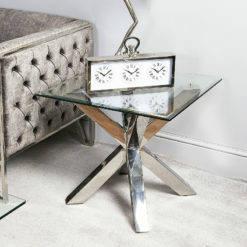 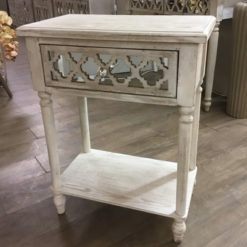 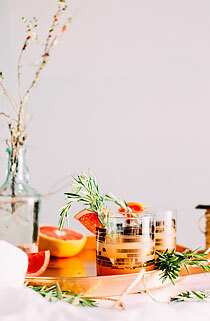 A contemporary, simplistic design end table or side table that will fit in with a modern home, an eye-catching end table with a crisscross chrome base and sophisticated tempered glass table top. 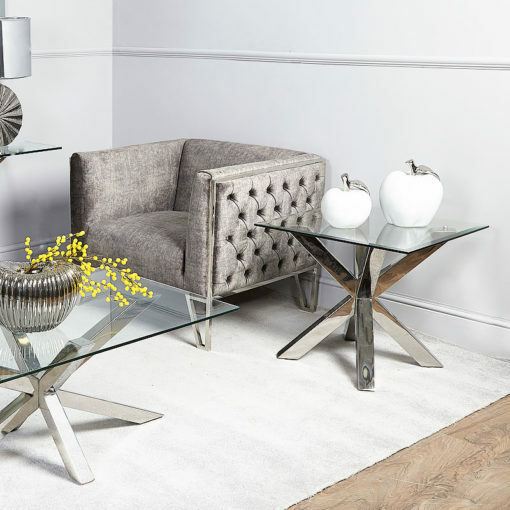 Whether in a lounge or entertainment room this table will bring an airy, spacious feel which will keep your room looking minimalistic and stylish.